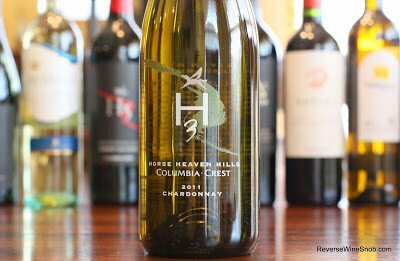 Columbia Crest H3 Horse Heaven Hills Chardonnay – Cha-Ching! 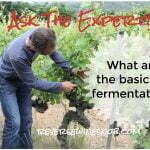 Includes an explanation of malolactic fermentation and how those buttery notes get in Chardonnay. A great price for Chardonnay of this quality. 100% Chardonnay from Horse Heaven Hills, Washington. “Washington state’s famed Horse Heaven Hills, named for the wild horses that once roamed this area, have been home to the Columbia Crest winery for over two decades. Our winemaker blends innovation and tradition to capture this unique basalt and bedrock terroir creating wines that highlight the intensity of these grapes. This medium-bodied Chardonnay is perfectly balanced delivering aromas of tropical pineapple and pear, flavors of tart apples and caramelized sugar, with a seductive coconut-vanilla finish. Chardonnay can be a bit of a love/hate proposition for a lot of people mainly because of the two extremes in style that are popular today — the unoaked, fruit forward, high acidity wines typically fermented in stainless steel and the big, rich, oaky and buttery style popular in California. The oaky, buttery style is also a lot more expensive thanks to all that new French oak which can cost upwards of $4,000 per barrel. (American oak is much more economical at $4-500 per barrel.) One barrel only produces 25 cases or 300 bottles of wine, so you can see how quickly these costs add up. Luckily barrels can be used many times but for a winemaker who wants to utilize mostly new French oak, their costs can skyrocket. And while I tend to prefer the naked or unoaked style, some of my very favorite Chardonnays come from combining the two styles together. Today’s wine is one such example. 75% of the wine was fermented in a combination of new and used French and American oak and underwent malolactic fermentation. 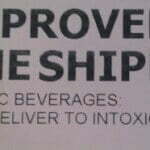 The other 25% was fermented in stainless steel and did not undergo malolactic fermentation. The result? The 2011 Columbia Crest H3 Horse Heaven Hills Chardonnay begins with pleasant aromas of citrus, a little vanilla cream and a little spice. Tasting the wine reveals lots of fruit and a steely minerality that quickly gives way to toasty, oaky, spicy notes that then turn a bit buttery on the finish. 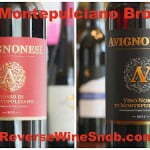 This is a rich, medium to full-bodied wine that offers a great mix of the unoaked and buttery styles in one wine. It ends with very long lasting butter, tobacco and vanilla notes. This is a great price for a wine of this quality especially when you figure in the cost of those barrels used for 75% of the wine!